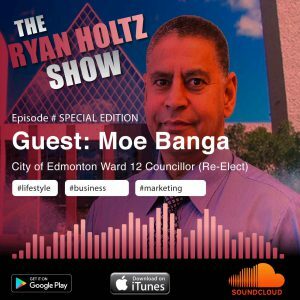 In this episode of The Ryan Holtz Show Podcast, I chat with incumbent City of Edmonton Ward 12 Councillor, Moe Banga about his bid to seek re-election in the October 16, 2017 City Of Edmonton municipal election. We chatted about several hot topics including, education, property taxes, Uber, infrastructure and all things Edmonton including LRT. Moe was a great guest and generous to take some time to come on the show. Thanks Moe! Moe has lived in the ward for over 35 years. He and his wife raised their family in the ward. As a police officer he has worked throughout the city. 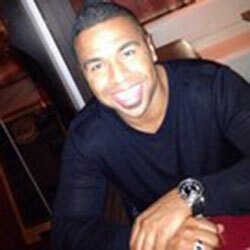 Many of his friends and family also live in the ward. 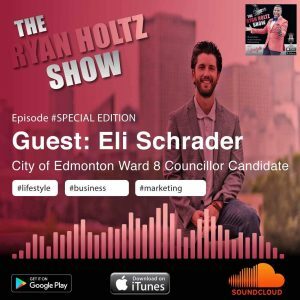 In this episode of The Ryan Holtz Show Podcast, I welcome guest and ward 8 City of Edmonton election candidate, Eli Schrader to the show! Eli caught my attention when I heard about this bus named “Gus” which is almost like the “food truck” of election campaign offices. I think this is totally awesome and a nice fresh approach. All jokes aside, we start diving right into his mandate and many important issues such as Walterdale bridge project and the city budget. I have lived in the Strathcona area for over 10 years and am proud to call the Cloverdale neighbourhood home. I love the energy of the area and its special connection to the River Valley. Ward 8 is a unique constituency, and as such, needs a City Councillor that reflects its distinctive needs. From long term residents who have lived in the area for decades to new university students moving into Edmonton for the first time, the community is home to a wide variety of Edmontonians. 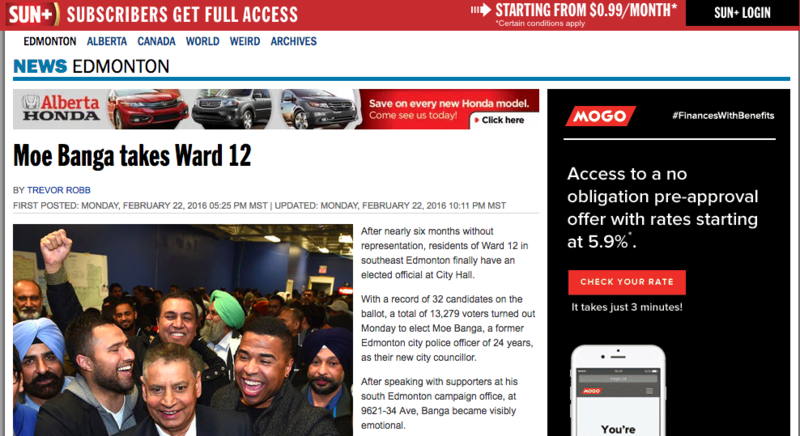 As Ward 8 and Edmonton continues to transform and diversify, we need a city that will listen to its citizens and rally new talent to manage the change! 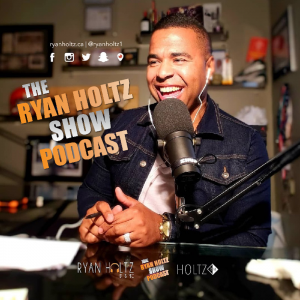 As always, please share, rate and subscribe to the show. I am truly thankful for all of the messages from amazing listeners like YOU!